Download very user friendly loan amortizer software on earth. 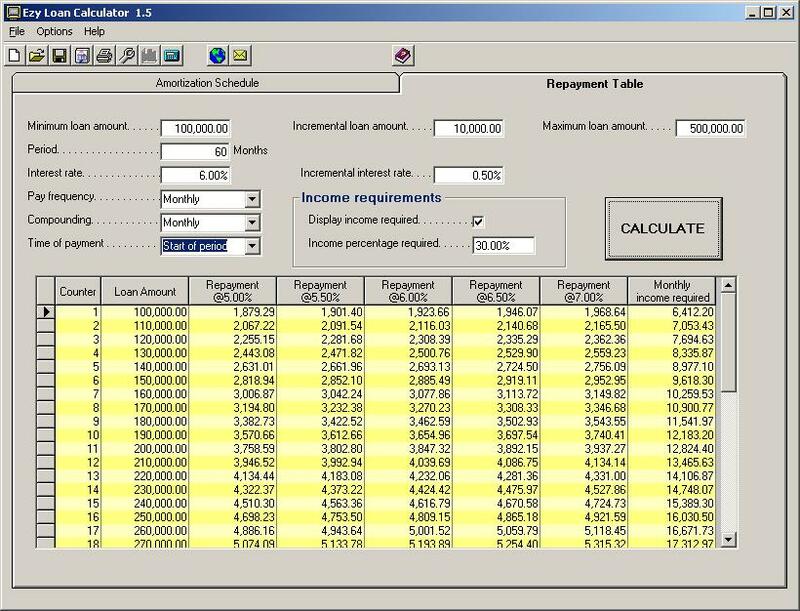 is a very user friendly and inexpensive loan amortization software, considering all the functionality it offers. 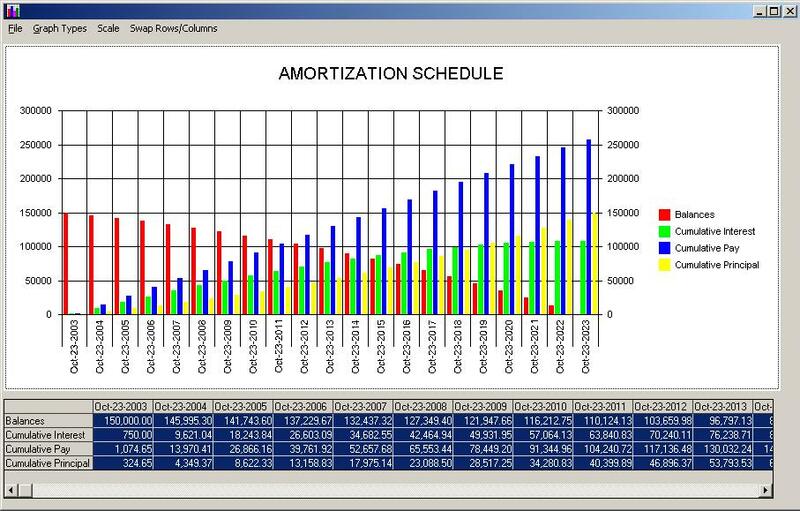 3 comparative loan amortization columns. Supports different countries, compounding methods. New payments can be inserted in the history payments table. Payments or interest can be updated in the history payments table. Supports Daily, Weekly, Monthly, Quarterly, Semi-Annual and Annual compounding. Supports Begin of Period or End of Period payments. The repayment table compares loan amount & interest. Pie, Bar, Line and Area charts. Save and retrieves data on a file. Exports data to HTML, CSV file. Leave any of the four fields blank the system will calculate it as the unknown (Loan Amount, Period, Interest Rate & Payment). AVD Volume Calculator - A powerful calculator for calculation of volume and mass of object with a complex configuration ! 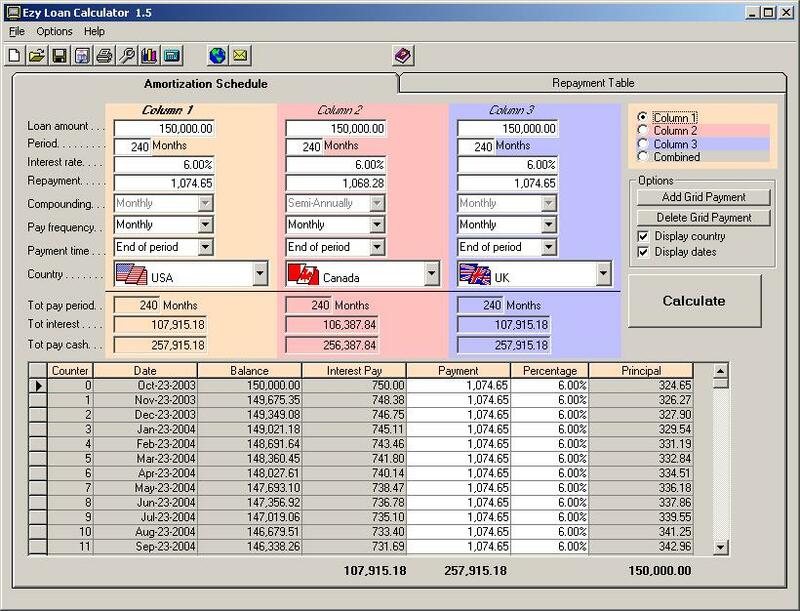 Hours Clocked - Time clock software hours clocked is a handy time card calculator program. Wave To Text - WAV to text converter software. PDF Converter Software - convert PDF to TXT, DOC, Excel, image, etc. PDF to DOC Converter - convert PDF to word DOC. Word to PDF Converter - convert word DOC to PDF file. Excel to PDF Converter - convert excel file to PDF file.